Ubisoft has revealed a collector’s edition for their upcoming open world first-person shooter, Far Cry 4 featuring a 7.9 inch figurine of the game’s antagonist Pagan Min. 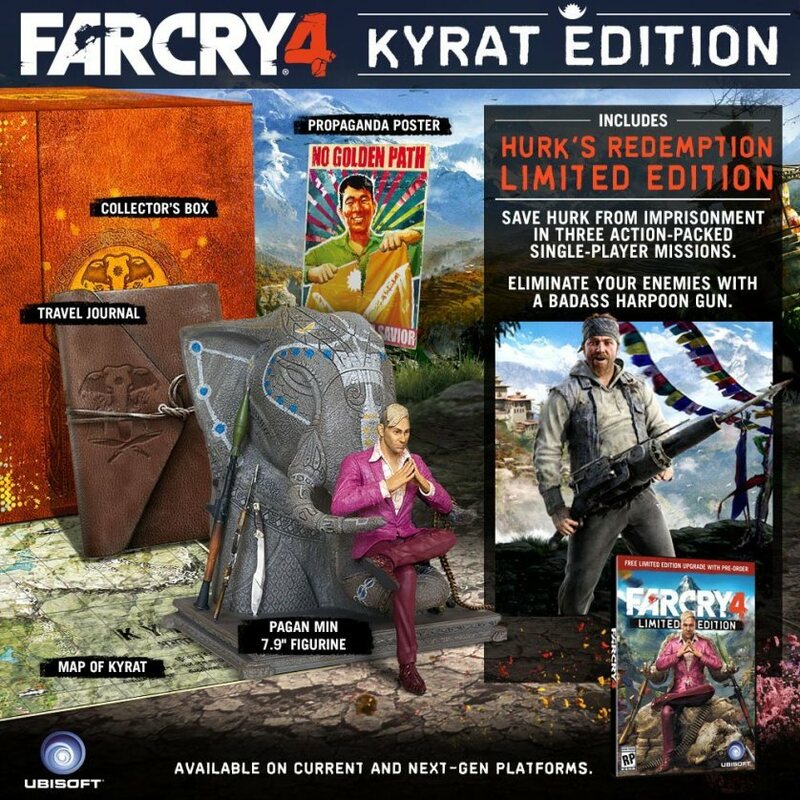 Kyrat Edition also comes with Limited Edition contents which includes Hurk’s Redemption, a series of three action-packed single-player missions featuring the popular character Hurk from Far Cry 3’s DLC and Hurk’s signature harpoon gun called “The Impaler”. “Players find themselves in Kyrat, a breathtaking, perilous and wild region of the Himalayas struggling under the regime of a despotic self-appointed king. Using a vast array of weapons, vehicles, and animals, players will write their own story across an exotic open-world landscape.” Far Cry 4 will release on November 18 in North America and November 20, 2014 in Europe for PlayStation 4, PlayStation 3, Xbox One, Xbox 360 and PC.